This week I take a look at making mead with regular home brewing equipment. Mead is simply a wine made from honey, and is remarkably easy to make at home using your existing brewing equipment. This is a follow up based in part on my recent interview with Michael Fairbrother from Moonlight Meadery. Mead is wine made from honey, or a combination of fruit and honey. Mead could possibly be the oldest alcoholic beverage, dating back to 9000 BC (Ref: Wikipedia) or longer, but is relatively unknown to the average American. Mead was widely consumed throughout history – in fact the term “honeymoon” is derived from a tradition of drinking mead at weddings. However a trip to the local wine store will rarely produce more than a handful of bottles on the shelf. Thankfully a handful of small mead makers like Moonlight Meadery are starting to change this. Mead is a wonderfully complex and great tasting drink. Like beer, it comes in a dizzying array of styles including sweet mead, Pyment (with grapes), Cyser (with cider), Melomel (with fruit), Metheglin (with herbs/spices) and Braggot (with hops). In fact there are over 25 different varieties of mead. Why you Don’t Need Two Years to Make Mead? Back when I started home brewing it really did take 1-2 years to complete a batch of mead, and that myth still persists among many home brewers. The reality is that with modern techniques and yeast nutrients, a good batch of mead can be completed in 3 months – which is a bit longer than a batch of beer, but far short of the 18 months it used to take. The secret is to use staggered yeast nutrients as I will describe below. Bottling equipment (bottles, bottle capper, bottle caps, bottle filler and tubing). Some people also bottle into wine bottles with corks, but beer bottles also work. The most important ingredient for making your first batch of mead is honey – you will need 15-18 lbs of it for a typical 5 gallon batch. Unfortunately you can’t just go to the grocery store and buy honey off the shelf – its really not the kind of honey you want. Instead you should try to find a good quality mead making honey variety such as tupolo or orange blossom honey. Often you can find this at your local home brew store or any of the major online brewing supply stores. Another good place is to check out your local honey growers. You can locate honey sellers in your state through the National Honey Board locator (honeylocator.com). Water is also important for making mead, as it is with beer. You need good quality drinking water – without excessive hardness or chlorine. If you can make good beer from your local water source, you can probably make good mead from it as well, but switch to bottled water if your local water is excessively hard or out of balance. The next important ingredient is yeast. The “gold standard” for mead making is arguably Lalvin 71B wine yeast, (71B-1122 Narbonne White Wine Yeast) which is a dry yeast widely used by commercial mead makers. You will need a minimum of 1 gram/gallon but pitching 2-3 grams of yeast/gallon will result in a stronger fermentation. This works out to 2-3 packets of dry yeast (5 gram packets) per 5 gallon batch of mead. Finally you need yeast nutrients unless you want to wait a year for your mead to complete. The three critical ones are called “GoFerm”, DAP (diammonium phosphate) and “Fermaid-K” and are available from most good home brewing or wine making shops. I personally go with additions of Goferm and Fermaid-K (which contains DAP) but you will find various people use various combinations of the three nutrients staggered over time. There are two ways to start your mead. One is to pasteurize your honey by heating it, and the other is to simply mix water honey (cold) and then pitch the yeast. I personally go with the cold method (don’t heat the honey) as honey has some natural preservatives built in and is not at high risk of infection. In most cases pasteurization is not needed. Sanitize your fermenter and also any tools (spoons, bowls etc) that will come in contact with the yeast or honey mixture. Mix the honey with 5 gallons of tap water to create a liquid called “must”. Its OK to aerate the water (oxygen is good at this point) by using it directly from the tap. If you are adding fruits or spices, add them at this time. Mix you first yeast nutrient addition (see below) along with a little bit of honey, warm water and yeast to hydrate the yeast. Let this sit for 15-20 minutes before pitching into the must. I generally sprinkle it over the top of the must and slowly mix it in. For yeast nutrients, I mix up equal parts of GoFerm and Fermaid-K (roughly 1 tsp each) and then divide this mixture into four equal portions. One part is added to the yeast during hydration and one part is added at roughly 24 hours after active fermentation has started. Another portion of nutrient is added at 48 hours and then the final portion is added after roughly 2/3 of the sugar has been depleted (i.e. the original gravity has dropped by 2/3 of your target). Mix each portion of nutrients with a little honey and water, as adding it directly to the fermenting must can result in excessive foaming. For the first few days, you can agitate the must with a sterile spoon to liberate some of the CO2 (from fermentation) which will speed the fermentation. It may also add some oxygen, but unlike beer adding oxygen is actually good for early fermentation. You should continue doing this for on the first 3-5 days. Be careful as sometimes large amounts of foaming can occur (as the CO2 is liberated) which can cause your fermenter to spill over. Within 3-4 weeks the bulk of fermentation should be complete, but you need to allow another 8-10 weeks to allow the mead to clear. I recommend a minimum of 2 months before bottling. Bottling mead is no different then bottling beer. Mead can be made either still (with no carbonation) or sparkling (with carbonation). I personally prefer still meads. The only consideration is that mead tends to continue a slow fermentation after bottling, so even if you bottle a mead with no carbonating sugar, it will tend to carbonate over time. To prevent this you need to use Potassium Sorbate on still meads. This will prevent further fermentation in the bottles. Here are some mead recipes on the BeerSmithRecipes shareing site. Thanks for joining me on the BeerSmith Home Brewing Blog. Please subscribe to my newsletter or listen to the podcast for regular home brewing articles and info! I’ve a question about fermentation: do I need to transfer the must after the primary fermentation to avoid yeast bad taste like with beer or it’s no need and can achieve the 3 months in the same fermenter? And a last question about fermenter: can I use a plastic fermenter as for the beer? I dont have a glass carboy. Great interview, based on the recipe above (18lbs), what kind of stating gravity can we expect? Will one packet of dry year be enough, its it better to over-pitch? What is the best pitching temp, then fermentation temp? Also should the tap water be boiled first then cooled for sanitation? I enjoyed the article. There isn’t nearly as much information about mead as there is for brewing beer. I recently tasted a friend’s pumpkin mead and now it’s got me thinking I want to take this endeavor on myself. Thanks for the help! Thanks so much for the article! I’m into meadmaking too, I feel like it’s starting to get more popular in the homebrew community. I followed this recipe to make a batch of mead two days ago. I was mixing it earlier today and it foamed over quite a bit. Do I need to add more yeast to the batch? Where does the yeast live in the batch – at the top, mixed in? No, foaming over is normal if their is not enough head space. The yeast are all mixed in throughout the must so you are fine. This is a great recipe if you have the equipment, if you don’t have the home brewing stuff though we have an easy tutorial onhow to make mead with no special equipment! 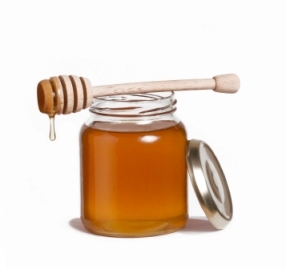 I know it might seem nice to brew it yourself but buying honey from a brewing supplies store along with the yeast and such seems a bit more expensive than buying it off the shelf or via an online store. I notice no approximation of price here for this lot but I’d guess the mead they sell at my local supermarket would probably work out just as expensive. Under 5 UK pounds for a 70cl bottle of mead (2017 price). I buy Orange blossom honey bulk in 60lb buckets for < $200, which works out to under $3.33 a pound. So 18lbs is $60 for 5 gallons of mead. If you bottle in 375ml half wine bottles that works out to about 50 bottles, so the cost per bottle is only $1.20! The yeast and Fermaid/Goferm might add a few more cents per bottle, but I think this is still much cheaper than you can buy mead commercially. Thanks for the article! I’m just about to make my first batch of mead. Question about the GoFerm. From the sites I’ve read, it’s a yeast re-hydration nutrient and seems to work best when using it to re-hydrate yeast. My LHBS doesn’t seem to carry it, so I was seeing if using Fermaid-K is enough to still make a good batch of mead in the ~3 month window. Fermaid-K and GoFerm are really two different things. The Goferm helps the yeast rehydrate properly and get a solid start, while the Fermaid-K provides nitrogen needed to keep the mead going as honey lacks enough nitrogen to support a strong fermentation. You can start without the goferm, but I would probably include an extra pack or two of yeast and still take the time to walk through the hydration process. You don’t want to skip the Fermaid-O or Fermaid-K additions however, as this will significantly lengthen your fermentation. Also aeration before pitching the yeast is recommended. I appreciate the article. It is the easiest to follow by far. Unfortunately, I have hit a snag. I have already been in primary fermentation for three months and just acheived 2/3 of target S.G. last week and added the additional nutrient. The effect seems very slow. If the rate of fermentation remains steady, it will be another 3 months before i hit goal specific gravity for a semi-dry mead. Should I add in more fermaid-k? Add a tsp more yeast? Add in some sugar to feed the yeast? All of the above? Advice is appreciated. I would probably try a bit more nutrient. I’ve had good luck with the TONSA-2 schedule but occasionally I do find one a bit slow, particularly for all honey meads.